Explore traditional and communal fabric arts with MCD and Crochet Jam! Get inspired by the art of Ramekon O’Arwisters and his use of the Southern rag rug tradition within a social practice context. 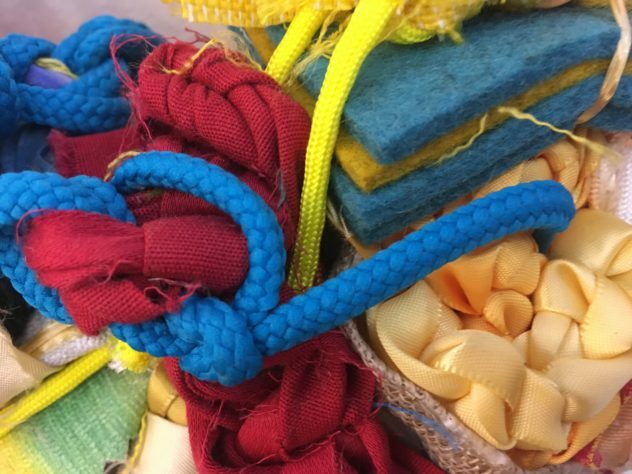 In this workshop, you will create a sculptural or functional art piece through experimentation with recycled fabric, yarn and unexpected materials. Learn to build surprising connections by allowing your materials to to take you on a journey of making! Participants will have adaptable methods and tools to work with, including finger-weaving and crochet.